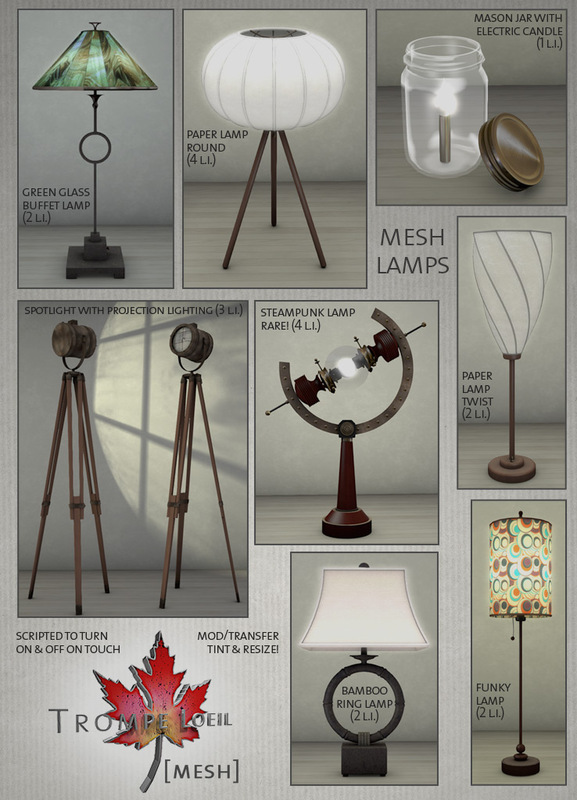 The Arcade opens its doors again on March 1, and Trompe Loeil has a wide assortment of brand new mesh lighting for your home – for the super low price of only $L25 per play! Each lamp is scripted to turn on and off lighting and glow effects with a touch – the Spotlight goes a step further and incorporates projection lighting for a fantastic effect (you may have to turn this feature on in your Preferences depending on which viewer you use and your hardware settings). Plus, they’re all modify, so you can tint or resize to your heart’s content! Here’s your ride to Trompe Loeil at The Arcade, opening March 1!